The EC-E-VA model has an innovative design with weigh cells, drives, and belt construction in stainless steel (protection class IP65) and is recommended for use in light to average humidity environments. The Wipotec Weigh Cell used operates on the principle of Electro-Magnetic Force Restoration (EMFR) and stands for the fas­test high precision measurement results. 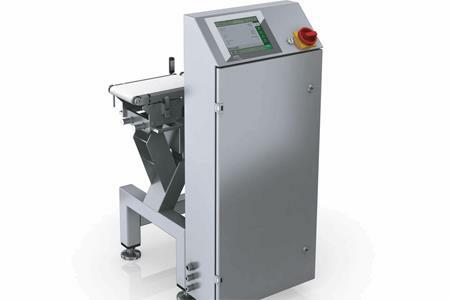 The EC-E-VA is fast and easy to integrate in any production line. This machine is your reliable instrument for optimal efficiency with up to 150 weight values per minute.